No official announcements have been made, but Media Molecule just posted a job opening for work on a new portable game. 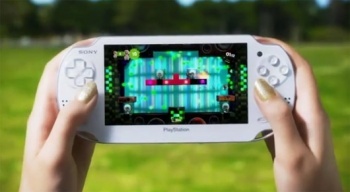 Sony's got a series of promo videos out for its new NGP system that feature handheld versions of major PS3 titles playing on it, including LittleBigPlanet 2. That said, Media Molecule has yet to actually announce any official plans for a new portable game. However, the developer has posted a job opening for a graphic designer who will work on a new title that "on a portable platform." The first LittleBigPlanet was ported to the PSP by SCE Cambridge Studio, so rumors are already surging across the Web that Media Molecule will be handling this version. Of course, Media Molecule wasn't officially announcing anything, though the studio's co-founder Alex Evans did respond to Joystiq on the matter: "Well spotted! However, at the moment I'm afraid we've got nothing to announce regarding any projects... sorry. We'll have to leave the world speculating a little longer..."